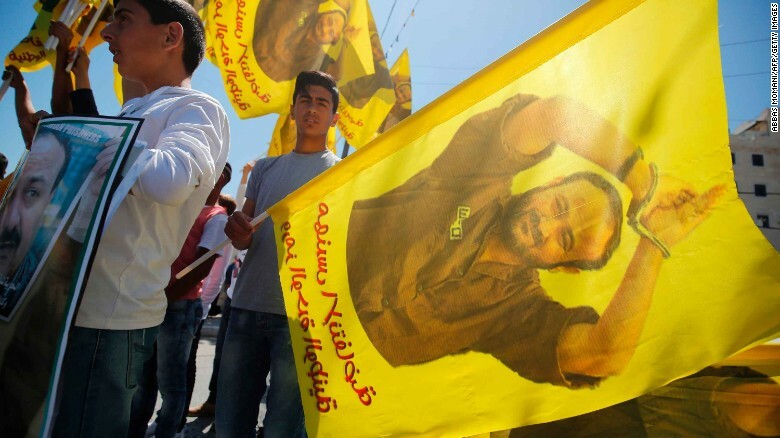 Palestinian political prisoners in Israeli prisons have launched a mass hunger strike yesterday on 8 April 2019. The call for the hunger strike comes after months of serious deterioration in detention conditions specifically after the Israeli Minister Gilad Erdan formed a committee precisely to lower the standards of detention conditions for Palestinians. The peak of this deterioration was the several violent raids with the use of excessive force against prisoners in three different prisons, Ofer, al-Naqab, and Rimon. Since Thursday, 4 April 2019 there were ongoing negotiations between the political parties representatives in the prisons and the prison administration. After an initial agreement was made on the evening of 7 April 2019, a day after the Israeli prison administration drew back and put conditions on applying the initial agreement. As a result, the political parties representative launched the hunger strike on the evening of 8 April 2019. The hunger strike started with the five prisoners, Wa’el Jaghoub, Muhammad A’rman, Zaid Besisi, Hussain Derbas, and Akram Abu Baker. Since the launch of the strike until this moment 400 prisoners have joined the hunger strike and we expect the numbers to increase in the coming week. The hunger striking prisoners’ demands include: install public phones in all prisons; remove all the new cell jammers from prison sections and rooms; relocate all the prisoners who were moved from their sections recently as a punitive measure; cancel all the new measures taken by the Israeli Minister Gilad Erdan and his new committee; allow family visits for the families who are banned visits for security reasons including the families from Gaza Strip, proper medical care; transfer female prisoner from Damon prison to from Damon prison to another prison where women prisoners’ needs are met in accordance with international law standards; put an end to isolation; improve the detention conditions for children; to improve the conditions of bosta (prisoner’s transfer) and waiting sections. As the strike begins, Addameer Prisoner Support urges supporters of justice around the world to take action to support the Palestinian prisoners whose bodies and lives are on the line for freedom and dignity. The issue of Palestinian prisoners and detainees held in Israeli prisons and detention centers transcends one of the individual human rights; it is also one of the collective rights of an entire people – the Palestinian people, who continue to be deprived of the right to self-determination and sovereignty – basic fundamentals of international law. All Palestinian political prisoners – regardless of their alleged political affiliations or charges – are entitled to fair trial guarantees under international humanitarian law and international human rights laws. Palestinian political prisoners and detainees are systematically subjected to torture and ill-treatment with continued impunity – highlighting the need for more solidarity actions from people around the globe to call for immediate release of all Palestinian political prisoners, long-denied their basic rights. Addameer Prisoner Support & Human Rights Association urges all people to organize events in solidarity with the struggle of hunger-striking prisoners and detainees. Stand in solidarity with Palestinian hunger-strikers, raise awareness about them, help us pressure the Israeli occupation authorities to respect the prisoner’s basic rights. 1. Join Addameer social media campaign aims at raising awareness: hold a sign saying #Hunger_Strike_for_Dignity, #PalHunger, #Free_Palestinian_Political_Prisoners, or #StopAD (administrative detention campaign), #NotATarget (Human Rights Defenders campaign), and share either a picture of you holding a sign or just the hashtag along with a picture of a prisoner or a detainee on social media (twitter and facebook) to raise awareness. 2. Organize a protest, demonstration, speaking event or banner drop in your city, community or campus calling for the immediate release of all Palestinian political prisoners and to show solidarity with the hunger striking prisoners and detainees. Contact decision makers directly. Listed below are the contact details for the relevant decision makers. Please, take a minute out of your day, and reach out directly to them to urge them to respect the rights and release all political prisoners arbitrarily detained in their prisons. Contact your own representatives. No matter what country you are from, if you have access to your representatives, please contact them directly about the issue. Pressure is built by pressing on those who will listen and have them pass the message up the chain of decisions makers. The only way to do so is to have a sufficient amount of people reach out and express a desire that your government act on the issue. Join BDS Campaign: Organize an action at HP office in your city to highlight the role of corporations involved in – and profiting from – the political imprisonment of Palestinians by the Israeli occupation. Join Addameer’s campaigns and their Call to Action: Addameer has two major campaigns: Stop Administrative Detention campaign and the Human Rights Defenders. You could use any of Aaddameer’s materials prepared for these two campaigns or any other materials on Addameer’s website. Send an email to info@addameer.ps or to our Facebook page to let us know about any actions you are planning and we can help you in any possible way. ← Justice for Negros 14! Stop Killing Farmers! Which Candidates Are Mentioned Most Often on TV News?